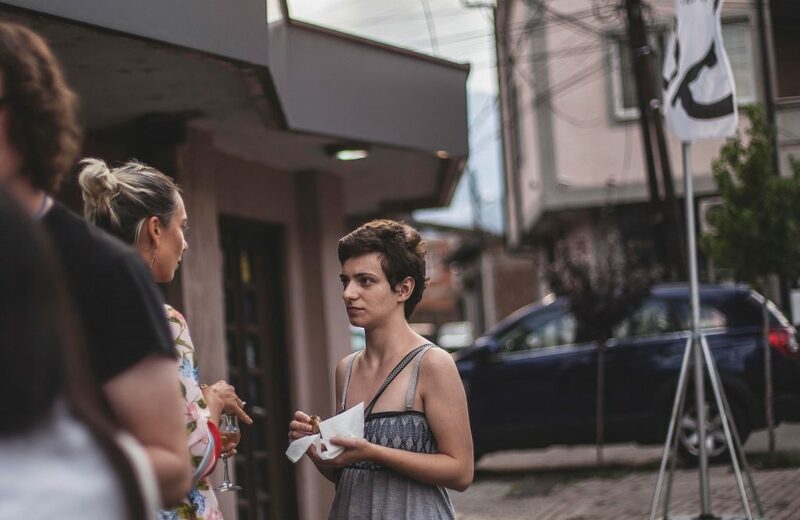 Following the close of Peja’s Anibar International Animation Festival, three women animators talk about their career, their aspirations and what they’re doing to increase diversity and equality in their industry. The ninth edition of Anibar international animation festival wrapped up this Sunday, following a week of animated films, presentations, panel discussions and parties across the city of Peja. This year, the central theme of the festival was ‘50/50,’ advocating for gender equality in film and animation. During the festival, student Flaka Kokolli, animator Aisha Madu and producer Kendra Haaland shared their stories as women at three different stages of their career in the animation industry. 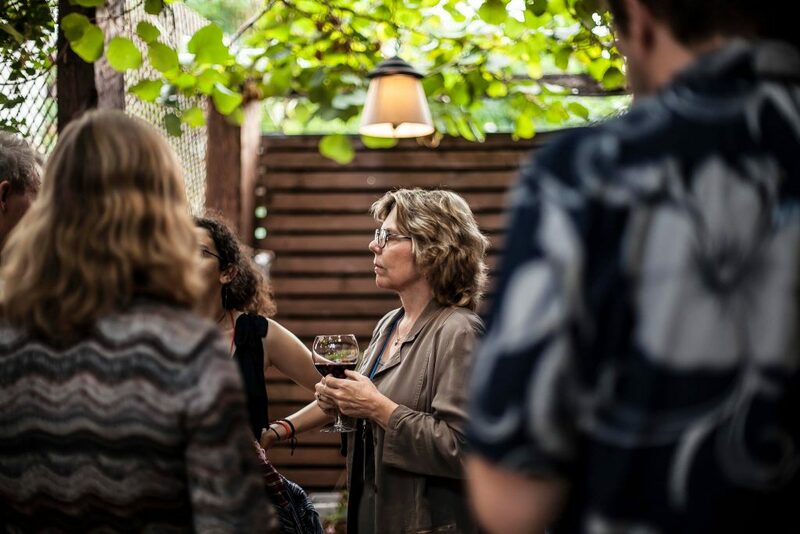 From two years in animation to 20, these women piece together the journey from avid fan to established filmmaker, showing the insight and opportunity small independent film festivals like Anibar can offer. Flaka Kokolli has come to Peja every year since 2015, helping with the selection of the kids and teens film program for Anibar. This year, she was asked to join panel discussions on gender equality, present her work to the festival and translate for journalists, even though she told herself she would just be a tourist. In 2016, Kokolli set off for Budapest to begin her studies in animation and filmmaking. Since she can remember having a plan for the future, animation was always her goal, inspired by the work of animated filmmaker Hayao Miyazaki, founder of the Japanese film company Studio Ghibli. “At first I wanted to understand why I felt such intense feelings about these films, and then I realised I wanted to learn [animation] and do it well enough to make other people feel that way too,” she said. For Kokolli, complex theoretical or philosophical concepts, hard to comprehend at first, can be animated, literalized to the maximum, and once visualized, start to make sense. But bringing these abstracts ideas to life only comes later, Kokolli explained. All student animators have to start from scratch, making someone walk, or bouncing a ball, is the first step on a long path. After a few years studying in Budapest learning the practical elements of animation and filmmaking, Kokolli has developed an animation style involving primarily 2D digital animation, drawing her designs on tablets rather than paper. But after being at the festival, she has seen so many different styles and types of animation, she is considering branching out into 3D as well. Inspired by a mix of western and old anime, a Japanese style of animation, both substantively and stylistically, Kokolli explains that the important element of storytelling, for her, is to avoid one dimensionality in her characters. After graduating from the University of Arts in Utrecht and winning an award for her short film, Helpiman, at the Klik Animation Festival in Amsterdam, Aisha Madu has been making a name for herself on the Dutch hip hop scene and fashion world through her striking designs and animation, and is releasing her first animated web series ‘House of Broken Hearts’ this year. Despite her success so far, it is strange for Madu to think of herself as an established artist. She said that it can be a particularly difficult struggle for women in the industry to come to terms with their own credibility and become comfortable in their ambition. 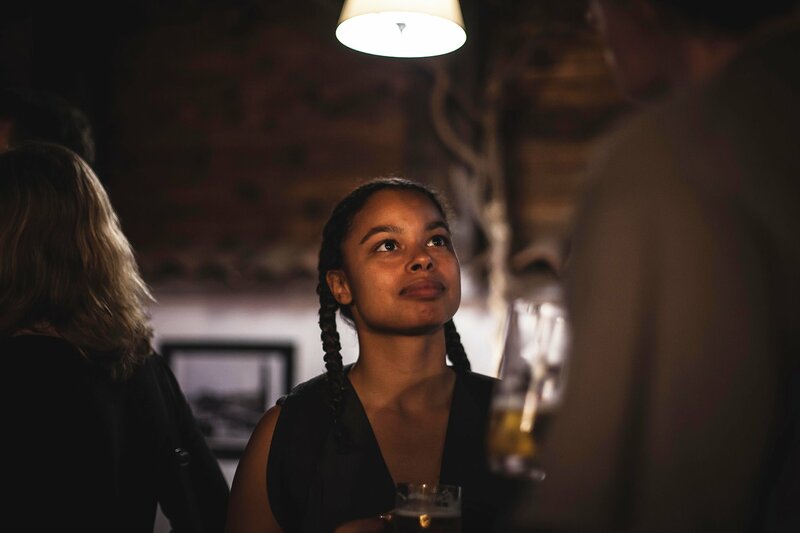 Madu has animated and directed three Dutch hip hop videos in the last two years, finding music to be the perfect accompaniment to her animation style, and to her tastes as well. Having the possibility to collaborate with artists who share her passion for the work is what she strives to find in a project, and one of the reasons she loves working with musicians. “They’re so enthusiastic, and they’re really positive about my work, so it’s a really rewarding experience. They’re really involved with creative ideas too, and I don’t think you can get that from a commercial projects, these become a more personal thing,” she said. Madu jokes that her style sits somewhere between her talent and her limitation as an artist. Madu’s most recent project is the web series ‘The House of Broken Hearts,’ a character study on the ability of different people to navigate complex personal relationships and breakups, where she uses her style to represent emotion in physical form. Through the characters’ engagement with ‘living’ household objects symbolizing romantic entanglements, a relationship going stale is visualised using a woman and her couch, for example, which she finds increasingly difficult to get up from. When she tries to rearrange the furniture to shake things up, the couch will move back, set in its ways. “I think the design is fresh at this moment. My style is very light, it’s easy to look at, but because of the topics I choose to do it’s not shallow. I like to use a lot of metaphors,” she said. Representing Women in Animation, WIA, an organization advocating for gender equality throughout the industry since 1995, Kendra Haaland has spent the last 20 years in the film business as a producer, jumping between independent films and big studios like Disney, Paramount and Dreamworks. Working as an associate producer on well known Disney animated films such as Hercules, Mulan and Atlantis, Haaland stresses that her success came down to tenacity, perseverance and a lucky break, but now she is focused on making this journey easier for the women who will come after her. 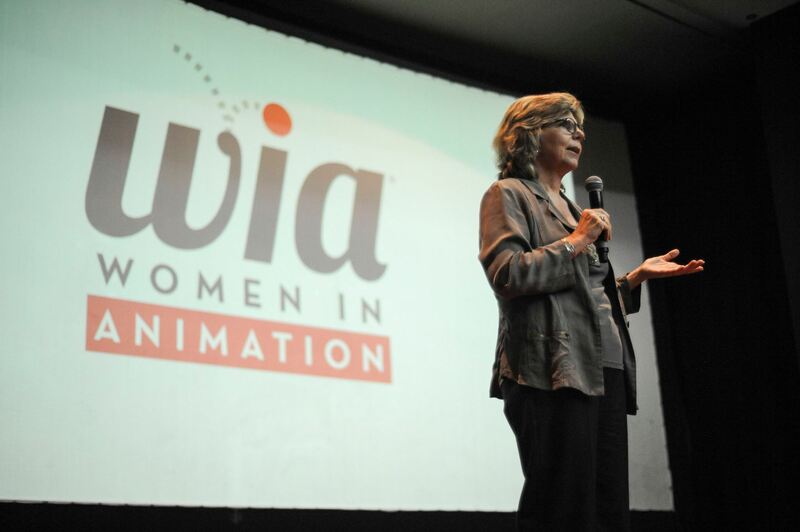 Now with more than 3000 members, WIA is growing globally, spreading across the United States, Canada, Ireland, France and India, hoping to bridge the gap between women animators not just in Hollywood but across continents as well. Haaland began her career in advertising in New York in the ‘80s, but with a brother in animation and after making friends already working in production, she became fascinated with the industry, taking the first job she could get as an operations manager on FernGully: The Last Rainforest. Haaland’s next feature-length animated film with Paramount, Wonderpark, comes out in May of 2019. At the same time, Haaland is also a coach, helping younger women get their foot in the door in what has become an incredibly competitive business in Hollywood, not just with feature films, but also television, VR, and gaming. She said that it can be difficult for women in the industry to find the right support, and in particular women of color and trans women. Organizations no longer actively discriminate against marginalized groups, Haaland explained, but the animation industry still struggles with diversity. After offering a job to a transgender woman on one of her recent films, Haaland got a phone call from her new employee, explaining that she may not want to hire her, as she was currently transitioning. Originally thinking that Anibar’s film choices would be relatively conventional in comparison to films in the United States, Haaland very quickly realised that was not the case. Organisations like WIA can help bridge the gap in places where perhaps acceptance isn’t so readily available, according to Haaland. In her Anibar presentation, Haaland encouraged women from Kosovo to engage with the animation industry and with art that has the possibility to change minds and make a difference. “Who is your audience for change? I don’t know what it’s like to be from Kosovo, and I never will, but the question animators need to ask themselves is what stories do they need to tell in order to change the mindset of men and women? How can you reach them?” she said. Haaland was interested to talk to the local artists working in animation at Anibar, and was glad to meet the few women currently attending trainings at the animation school held by Anibar in Peja and Prishtina.